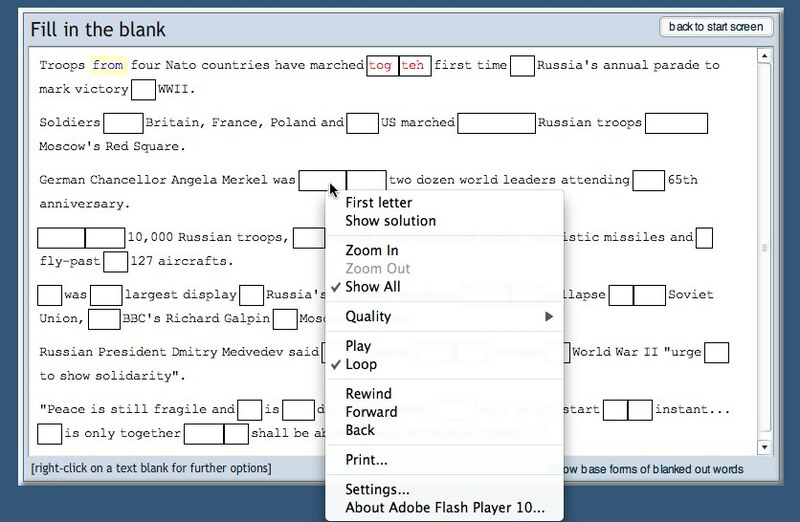 I've just been looking at this really useful tool for creating interactive close text activities (300 words limit). 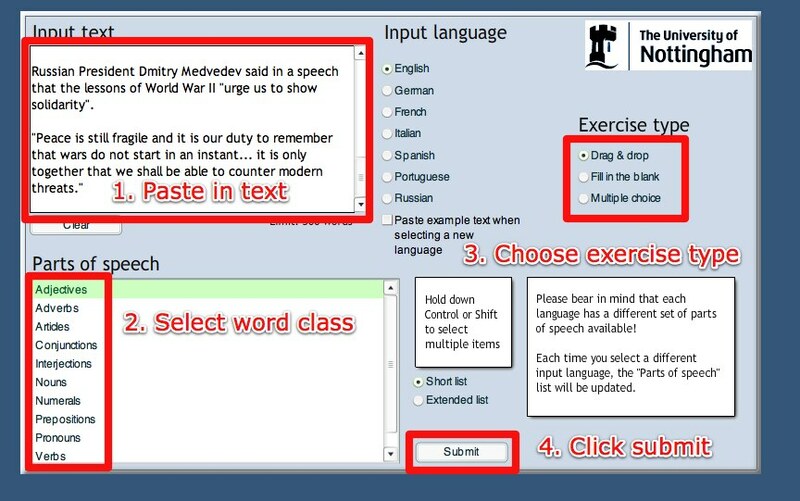 The tool is produced by Nottingham University and can work with quite a range of languages, not only English. Just click the one you want and then click on 'Submit' and wait for your text to appear. The drag and drop activity works pretty well. 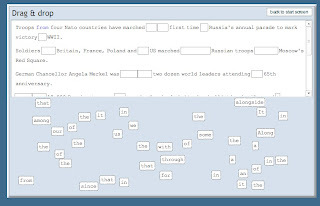 The students see the words beneath the gapped text and drag them onto the gaps. If the words are correct, they turn blue and become part of the text, but if the are wrong, they turn red and return to their place. 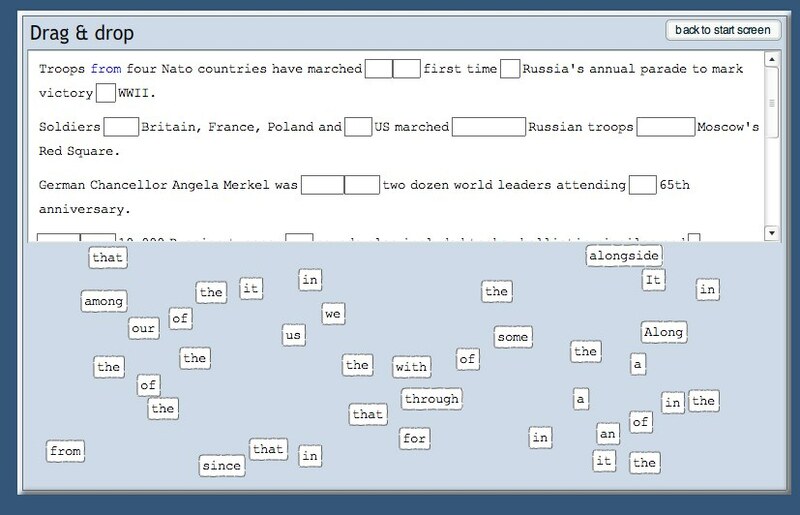 With the fill in the blanks activity the students see the gapped text and click on the gaps to type in the missing words. Again, correct word go blue and wrong words go red. 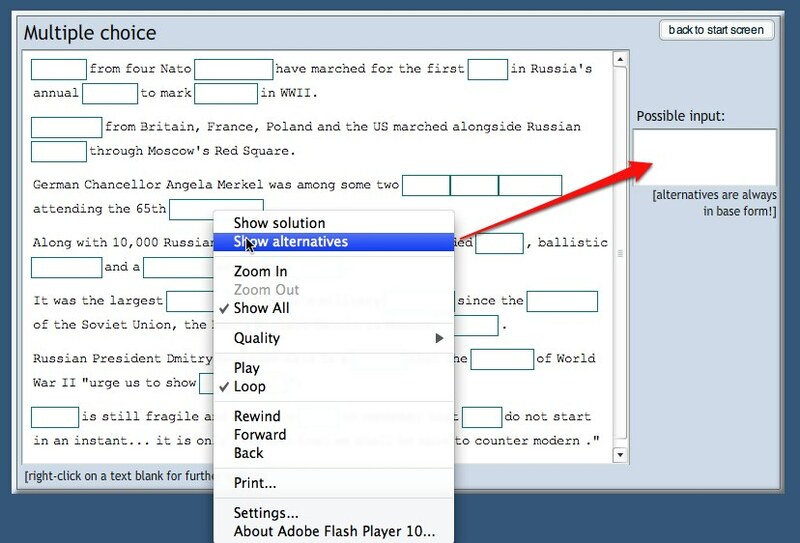 The students can right click on the gap to get a first letter hint, or the solution. 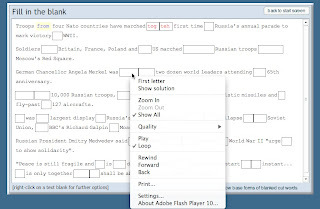 The multiple choice exercise is slightly more complicated, it generates a gapped text and then you have to right click on the gap to get the alternative choices to appear to the right of the screen. 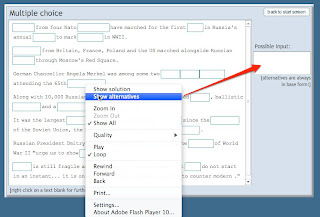 It's quite impressive that it generates its own credible alternative words for each gap, but when I tried to create an exercise that gapped multiple word types, it couldn't create the activity, so if you use this option just select one word type. 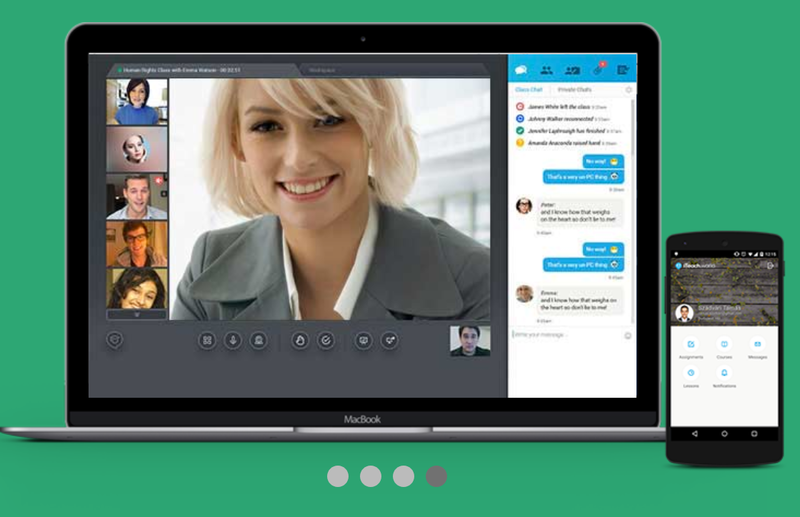 This is a really useful tool for quickly creating activities for students. The down side is these activities can't be saved, so you either have to use the activities in class with an interactive whiteboard or data projector, or get students to work autonomously to create and complete their own activities. My advice would be to do a few in class to show the students how they work, then get them to create their own on their own computers. This is a great way to revise a text or to discover examples of particular structures in context. 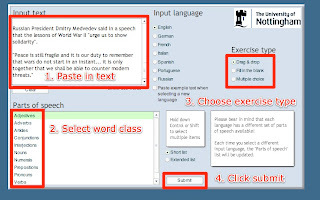 I like tat you can select to remove all numerals as this can be great for getting students to predict answers before reading for specific information. I hope you enjoy using this tool and find it useful.